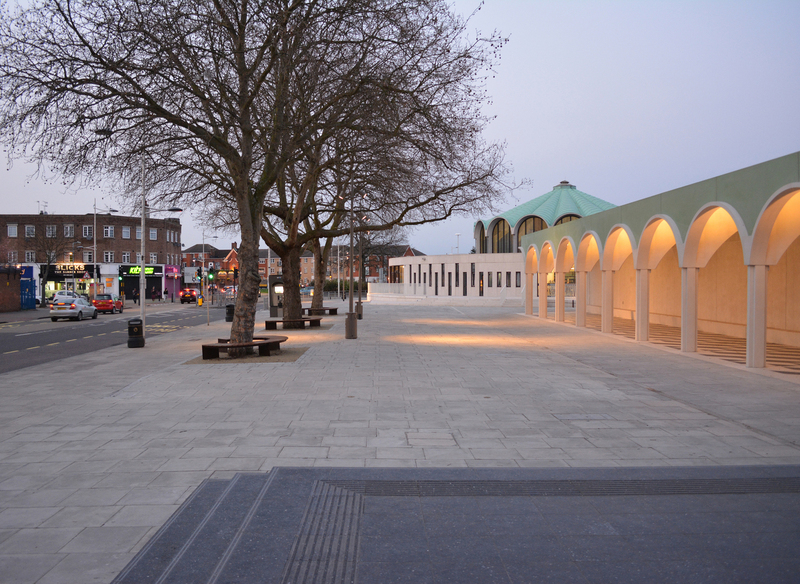 Barkingside Town Centre is a strategic project by DK-CM, which radically transformed the town centre of Barkingside, a suburban town on the eastern fringe of London. The project provides a new heart to the town in the form of a civic square and high street park, supported by a range of strategic interventions along the high street and out into the Green Belt landscape beyond. 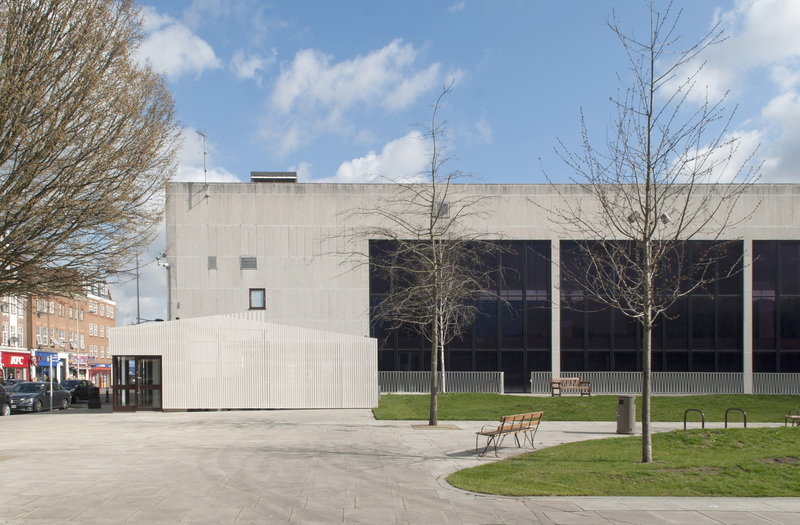 The project has transformed a series of previously neglected or inaccessible spaces around Fullwell Cross Library and Leisure Centre, a suite of civic buildings designed in the 1960s by Frederick Gibberd. 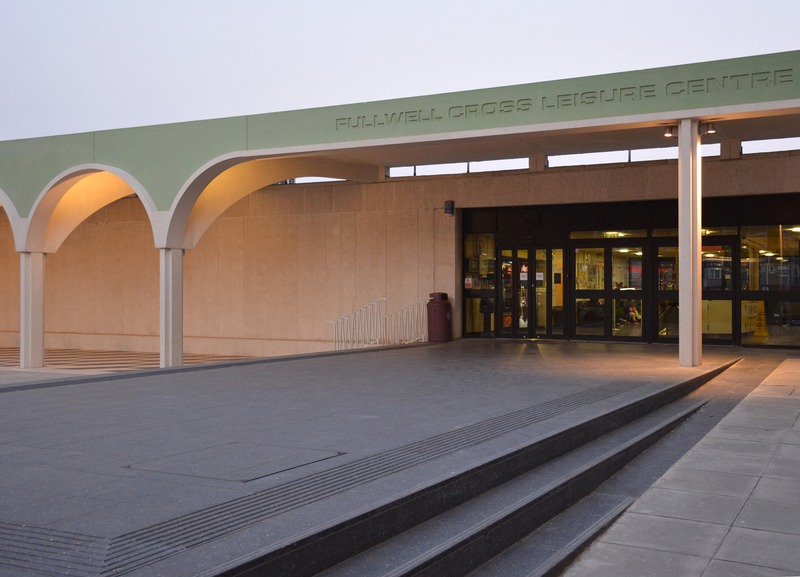 Entrances to all of the buildings have become open air ‘rooms’, including the leisure centre’s entrance which incorporates a stage and Christmas tree pit. 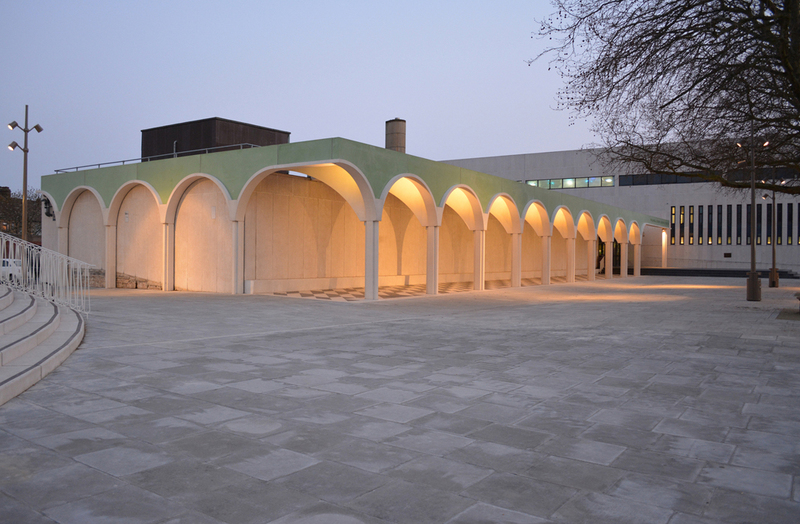 At the swimming pool, DK-CM has created 3,000m2 of new public park out of a disused and private pool yard, bringing the pool to life as a public building connected to its high street and providing a new leafy entrance to the town centre. Where the leisure centre formerly presented its delivery bay to the High Street, the architects have created a small retail unit and public convenience, a miniature of the main building, which turns a back into a front and brings the bulk of the pool into dialogue with both the High Street and the new park. 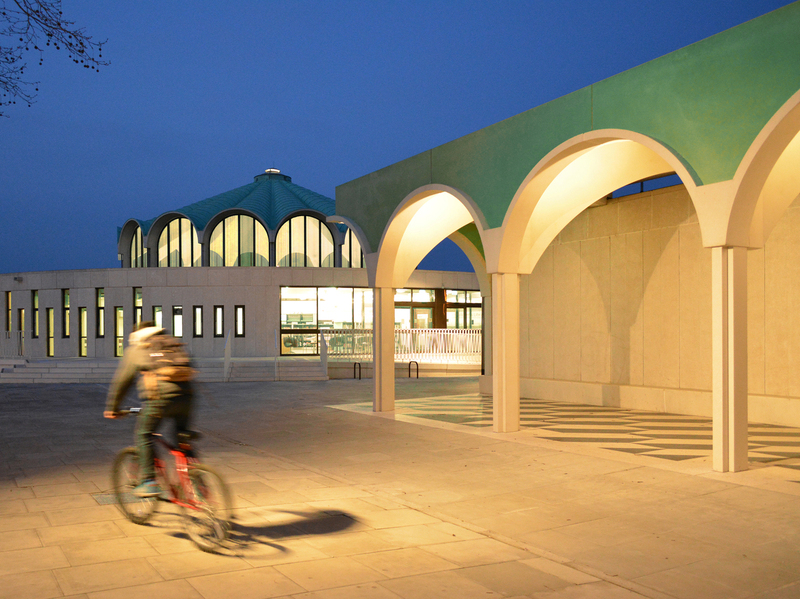 “We have brought generous but aloof modernist architecture into playful and generous dialogue with the suburban high street, in a language which riffs on suburban popular building but also on European traditions of public space,” say the architects.